Originally published by Albert Whitman. Now available as print on demand through Amazon. Peter finds trucks wherever he goes and quizzes the drivers on the contents of their trucks. 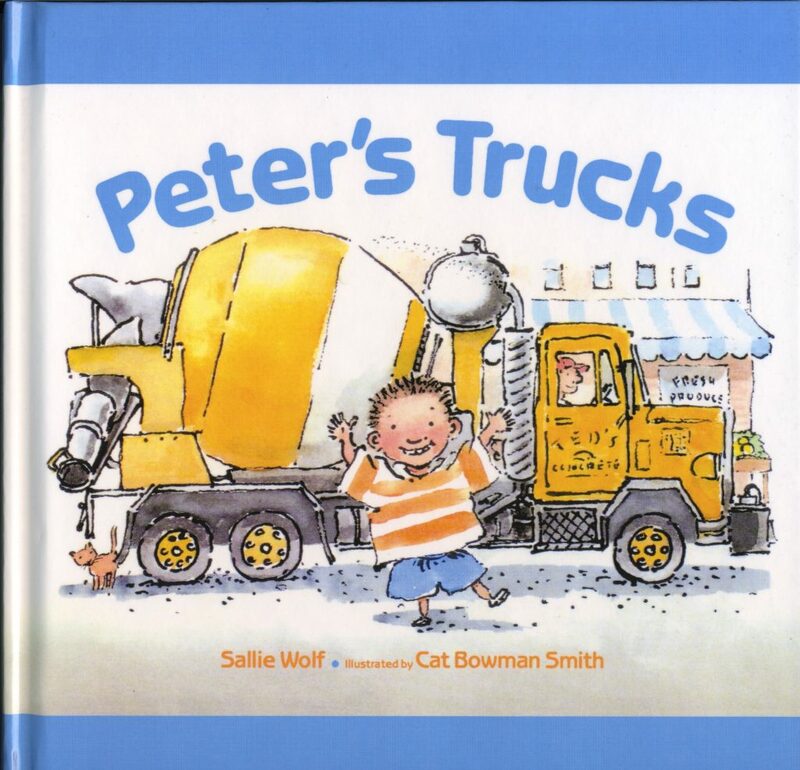 This is a rhyming truck book with a plot!